Want to learn how to create an engaged following? 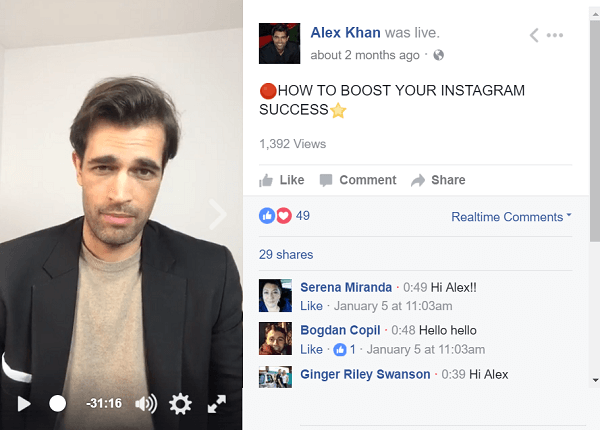 To discover what he’s learned from broadcasting over 1,000 live streams over the last two years, I interview Alex Khan. 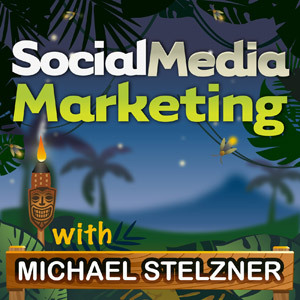 In this episode, I interview Alex Khan, the founder of Attractive Media, a German social media agency that helps businesses with live video. You can find him online at alexkhan.tv. Alex shares his formula for beginning and ending live video. You’ll discover how Alex makes his live videos look more professional. Live Video: Tips and Techniques for Creating Great Content featuring insights from Alex Kahn on the Social Media Marketing Podcast. Alex started his first website in the late 1990s, back when email open rates were incredibly high. In 2005, he became managing director of Attractive People, a social network. In that role, Alex discovered what builds trust and how people behave on social networks. 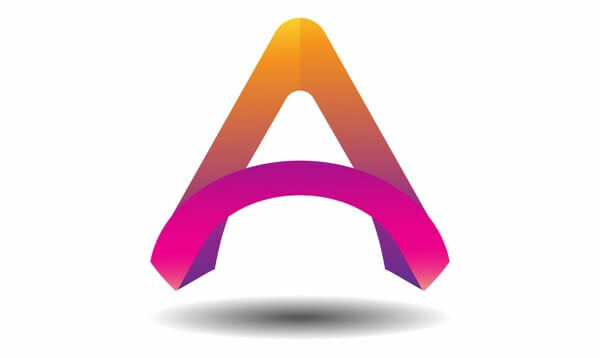 In 2012, Alex founded Germany’s first mobile marketplace for fashion, which another company later acquired. Alex continued working behind the scenes in social media until 2015, when Twitter acquired Periscope for $100 million. After a company acquired his own app, Alex says he was curious about what a $100 million app could do. In March 2015 on the first day Periscope became available, Alex downloaded it and it immediately blew him away. Alex knew that driving engagement builds trust and increased visibility; however, creating engaging content was (and is) a challenge. Periscope helped Alex solve the engagement challenge because he could start a one-to-many conversation from anywhere at any time. Alex says it’s still fascinating that you can reach so many people for free. 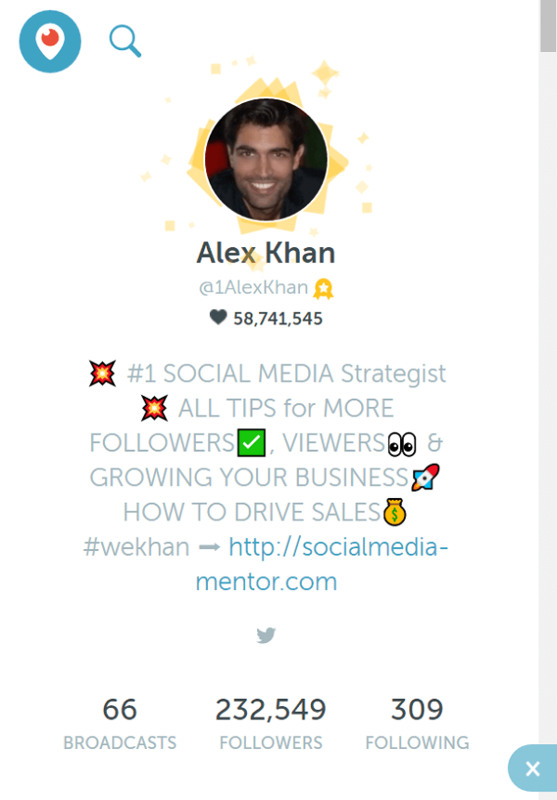 Alex was a fan of Periscope immediately and he built a massive following in two years. In the beginning, Alex directed his live videos with his employee as the Periscope star. They created fun content such as jumping in a pool, which had nothing to do with Alex’s area of expertise. After a few weeks, Alex’s business partners shared their concern that this fun content wasn’t professional, especially because Alex was COO of the company. Alex agreed that their point was valid, so he decided to change his subject matter. With 10 years of experience in social media, Alex knew people would have questions about how to use this new platform. He decided to use his expertise to help people understand how to build their audience with live video. I ask Alex to share a snapshot of his audience today. Alex says that in only two years, he’s built his audience from nothing to 230,000 followers and 55 million hearts on Periscope. Through cross-promotion, Alex has attracted a total of 400,000 followers on social media. To build that audience, Alex says his experience working in social media, building companies, and training people gave him the necessary expertise, but live video technology was also a critical gateway. Listen to the show to learn about Alex’s first live broadcast on Periscope. Alex says the key is to educate, inspire, or entertain your viewers. Alex has found that his viewers are regular people who are early live video adopters and curious about what he has to say. When you provide something that’s valuable, Alex believes people will like you. He says the key is to educate, inspire, or entertain viewers. Personal stories: Talk about how you came to what you do. Behind the scenes: Share exclusive content. Show your colleagues, employees, warehouse, or anything that gives viewers behind-the-scenes insight. Giveaways: People love to win stuff. Ask viewers to share, retweet, leave a comment on Facebook, or cross-promote your live video to their social media accounts. In return, you can give them shoutouts, little prizes, or discounts. Sneak peeks: Alex says viewers like seeing a demo of an upcoming product or feature. He also suggests involving your viewers in the product-development process. For instance, let them choose a color, name, or size of something. Alex says that your live video doesn’t need to focus on only one of these five topics. You can share a personal story, segue to a sneak peek, and then have a giveaway. Alex says the topics work together seamlessly. When I ask if Alex agrees that live video is the one medium where imperfection is okay, he says absolutely. Some people tune in because live video is new, and others because they want to see something go wrong, he laughs. However, Alex stresses that live video is truly appealing because it replicates the way people connect and talk to each other in real life. Live video is immediate and authentic. If the video doesn’t go perfectly, that adds to its authenticity. People aren’t perfect and no one should act like they are. Alex adds that when you talk to someone on a live video, you can be 100% sure you’re talking to that person. If you connect over a Facebook post, a tweet, or an Instagram photo, you never really know. Listen to the show to hear Alex and me discuss easy ways to implement the five live video topics. When you start a live video, Alex believes the first 60 seconds can make or break your stream. If nothing interesting happens in the first 60 seconds, people won’t watch until the end. To keep the beginning of his live videos interesting, Alex has a formula he calls “the Triple-A guideline”: action, attention, and adding value. Alex Khan’s triple-A guideline for live video: action, attention, and adding value. The action part starts before your broadcast. Promote your live video ahead of time. Tell your friends, send a newsletter, tweet about it, publish a Facebook post, do what you can to let people know in advance when you’ll go live. You may also want to write an outline of what you plan to talk about. Be sure to have good lighting and limit background noise. Enter a catchy title. When you go live on Periscope, activate the Tweet icon so your Twitter audience knows you’re going live, too. Alex says many people who go live make the same big mistake, especially on Facebook: they wait until people tune in. Alex says most people who watch the very beginning of your live video are watching the replay. He suggests you keep these viewers in mind and start talking immediately. In his intro, Alex welcomes the replay viewers. Then he introduces himself and his topic and shares what viewers can expect from the broadcast. As more people tune in, Alex keeps viewers’ attention by asking an easy-to-answer question like, “Where are you from?” This approach is especially useful if you start a Facebook or Instagram live stream because those platforms are based on engagement. When more people comment and like, Facebook will show these engaging broadcasts to more people. Alex engages with his viewers from the get-go, especially when broadcasting on Facebook Live. After one or two minutes, Alex moves on to adding value. For example, if the topic is five ways to use Periscope, Alex begins with his best tip. He doesn’t think people should save the best for later. Also, he believes the best moment to ask viewers to share his video is after he offers them something valuable. For example, to make this request, Alex says, “If you like this tip, I have four more. Please invite your followers and share the stream. And make sure to follow me.” With this strategy, he gets more viewers for tips two through five. Alex and I also talk about valuing viewers’ time. 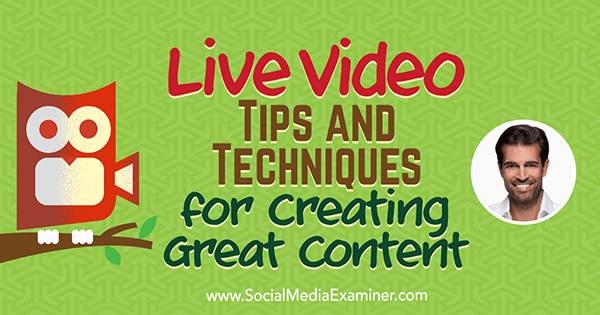 When you share your best content first, you make watching your live video worthwhile. At the end of a video, Alex says most people close with, “Thanks for watching. See you in the next broadcast.” However, Alex suggests adding a bit more detail to your closing to increase your audience. When Alex ends a live video, he quickly recaps the most important points. Then he shares a sneak peek of the next broadcast, tells people when it will occur, and asks them to follow him so they don’t miss it. Adding a sneak peek to tease your next video encourages viewers to come back. Only after providing all of these details does Alex thank people for watching and say he hopes to see them next time. Listen to the show to hear Alex share a sample live video introduction. To help increase watch time, drive replay views, and encourage cross-promotion, Alex recommends his code word strategy. Typically, a code word is tied to a giveaway, which can be as simple as a shoutout or a higher-value item like a new device. To use this strategy, you tease your code word at the beginning of your live video. In the first five to ten seconds, Alex gives a code word. After Alex finishes his introduction (about one to two minutes in), he tells viewers that he placed a secret code word at the beginning. Because most live viewers aren’t present at the very beginning, they know to watch the replay to get the code word. However, you don’t tell viewers what to do with the code word until the end of your live video. This way, people need to watch the whole video (or at least scrub through it) to participate in the giveaway. For example, Alex might ask viewers to tweet the code word, leave a comment on his Instagram feed, or email him the code word. Alex sometimes gives a shoutout as the prize for tweeting the video’s code word to him. The code word strategy has a lot of benefits, Alex continues. For instance, if you ask viewers to follow you on Twitter, Instagram, or Facebook, and tweet or share the code word in a comment, you gain followers. Alex says that the more desirable the giveaway, the more people participate. Instead of a code word, Alex says you can ask viewers a question and then tell them to tweet you or leave a comment with the answer for a chance to win the giveaway. Each time Alex goes live on Periscope, he says about 2,000 to 10,000 people watch his video and around 5% participate in each code word challenge. When Alex works with a brand and gives away a great prize like a tech product, hundreds of people participate. Listen to the show to discover Alex’s tips for deciding how often to do a code word giveaway. To add visual interest to live video, Alex uses OBS Studio. With this free tool, you can add extra visuals such as an image, animation, or text to your live video. If you use a service like BeLive, you can also do a split screen. Alex says that whatever you show on your desktop, OBS can stream to your Periscope or Facebook Live broadcast. Alex uses OBS to create a five-second intro that shows a counter as a visual animation. The intro also plays sound effects and displays the Twitter logo. As the live video continues, Alex displays the topic of the stream and different things he asks viewers to do. For instance, he might display an arrow animation that says “Follow” and points to his Instagram or Twitter feed. Alex uses OBS to add graphics to his video streams. Alex says he customizes the animations to the video’s topic. For example, if Alex is sharing five tips about Twitter, he asks people to follow him on Twitter. 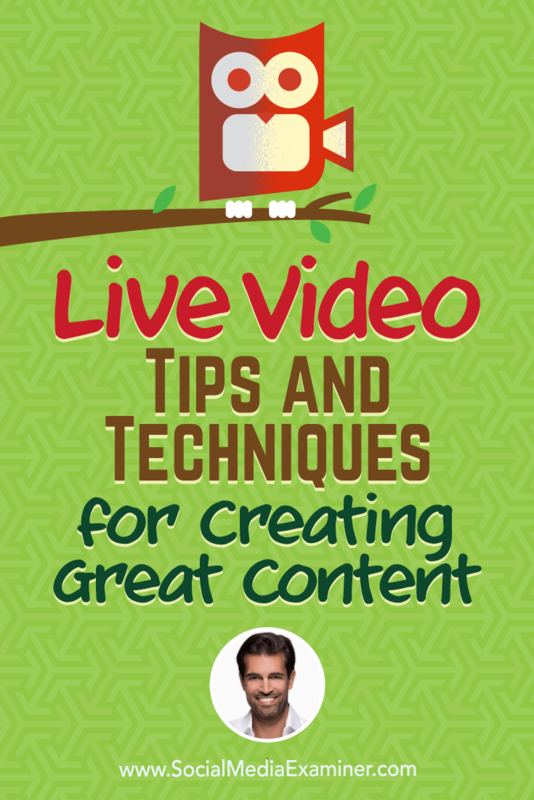 In each live video, Alex also shares a link that leads to his landing page. I ask Alex if OBS is complicated to use. Alex says that creating the graphics can be a bit challenging, but you can hire someone to help you on Fiverr.com. After you have the graphics, you simply set them up in OBS. First add a scene and a layer, and then add the image or animation. After you set up your graphics in OBS, you can toggle a graphic’s visibility during the broadcast with a single click. Alex says the process is easy once you figure it out. Listen to the show to hear what I remember from the first time I saw Alex on live video. 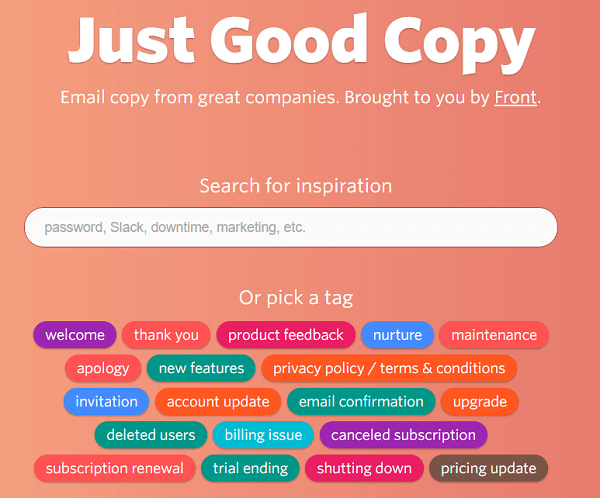 To find inspiring emails, go to GoodEmailCopy.com and in the search bar, enter the type of email you need to write. Your search results show existing emails from familiar companies such as Upwork, Buffer, Trello, Salesforce, Dropbox, Evernote, and Pinterest. Instead of searching, you can click a tag for a common type of email. The tags look like colorful bubbles and reflect popular types of email such as thank you, welcome, nurture, maintenance, canceled subscription, and others. Just Good Copy is free. Simply search or click a tag to find the examples and start gathering ideas. Listen to the show to learn more and let us know how Just Good Copy works for you. Follow 1AlexKhan on Twitter and Instagram. Get Alex’s live video checklist. Watch one of Alex’s Facebook Live streams. 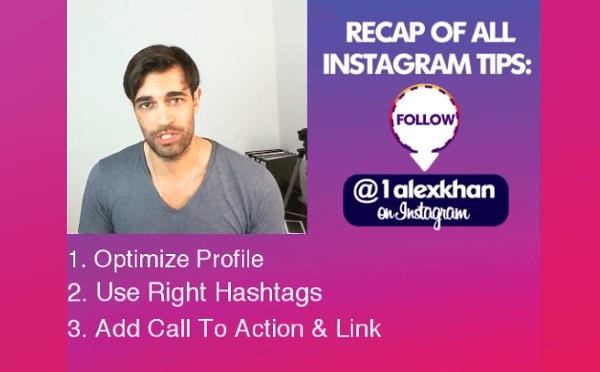 Check out Alex’s Ways to Use Periscope, Code Word Strategy, and Instagram Tips videos on Periscope. Take a look at Fiverr. Check out Just Good Copy. What do you think? 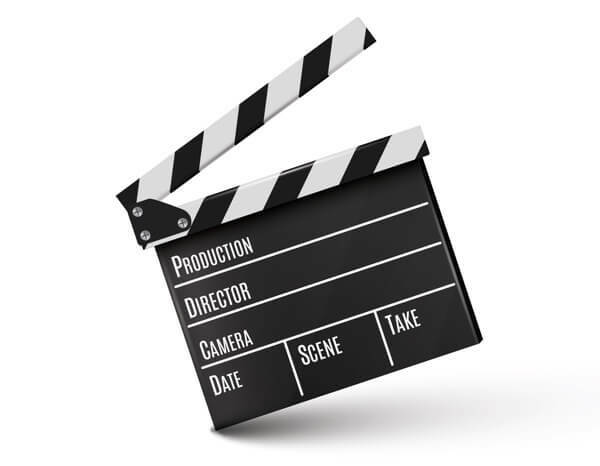 What are your thoughts on live video? Please leave your comments below.